Ice Shield™ engine inlet and horn de-ice boots are available for a variety of aircraft including Beech King Air (90, 100, 200, 300), DeHavilland DHC-6, Dorner 328, Piper Navajo and Embraer 110. Ice Shield’s engine inlet and horn boots are in stock and available for all our certified aircraft. Please see our eligibility page for more information. 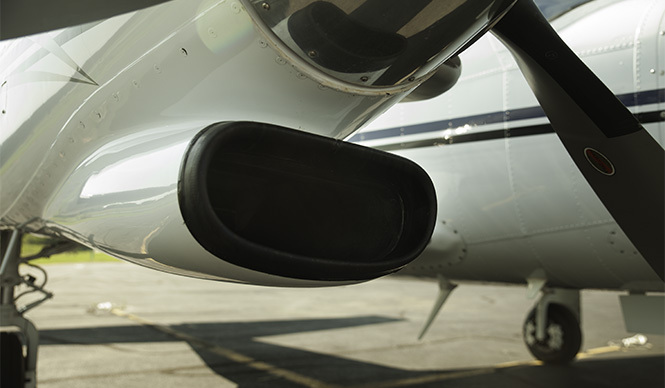 Ice Shield engine inlets and horn de-icers are FAA PMA approved. Please see our eligibility page for more information.